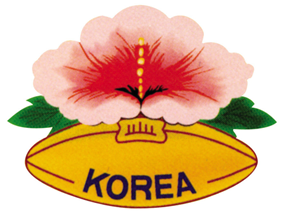 The Korea national rugby union team represents South Korea in international rugby union. The team is recognized as Korea by the International Rugby Board. Korea has yet to make their debut at the Rugby World Cup. Korea reached the repechage round of qualification for the 1999, 2003, and 2007 Rugby World Cups, being eliminated by Tonga each time. They also failed to qualify for the 2011 Rugby World Cup. Korea participated in the 2008 Asian Five Nations, the inaugural Asian Five Nations. Squad to 2013 Asian Five Nations.